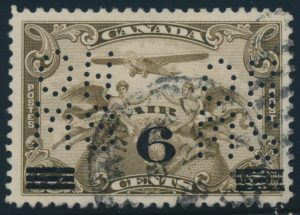 Lot 510 Canada #OAC3 1932 6c on 5c Air Mail Surcharge Official, Perforated 5-Hole OHMS, (Position A) used with light duplex cancel, very fine and rare. Unitrade CV$600, sold for C$475.00 plus 15% buyer’s premium. 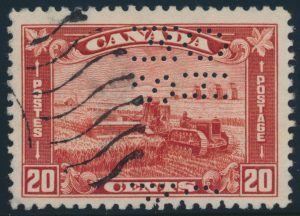 Lot 484 Canada #OA175 1930 20c Harvesting Wheat Official, Perforated 5-Hole OHMS, (Position F, missing hole in S) used with part duplex cancel, very fine and scarce. 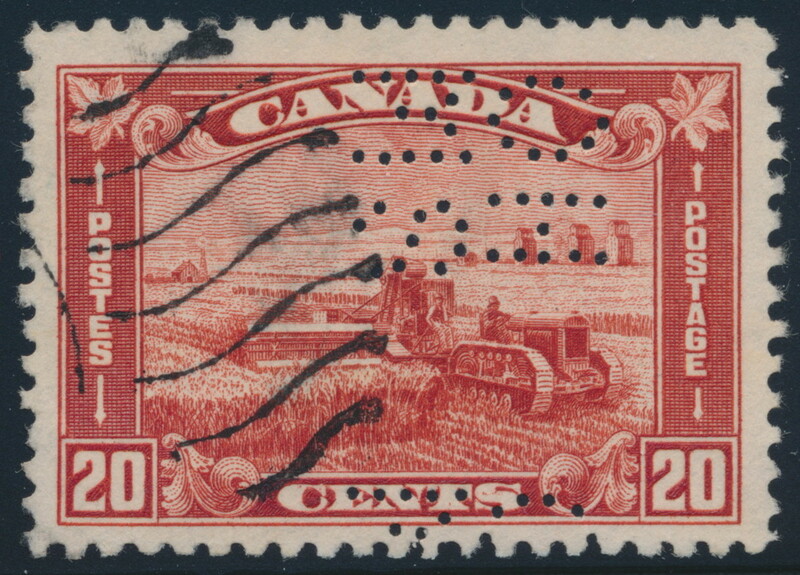 Unitrade CV$120, sold for C$180.00 plus 15% buyer’s premium. 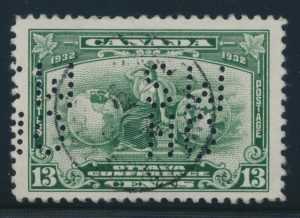 Lot 490 Canada #OA194 1932 13c Britannia Official, Perforated 5-Hole OHMS, (Position C) used with light centrally struck c.d.s. 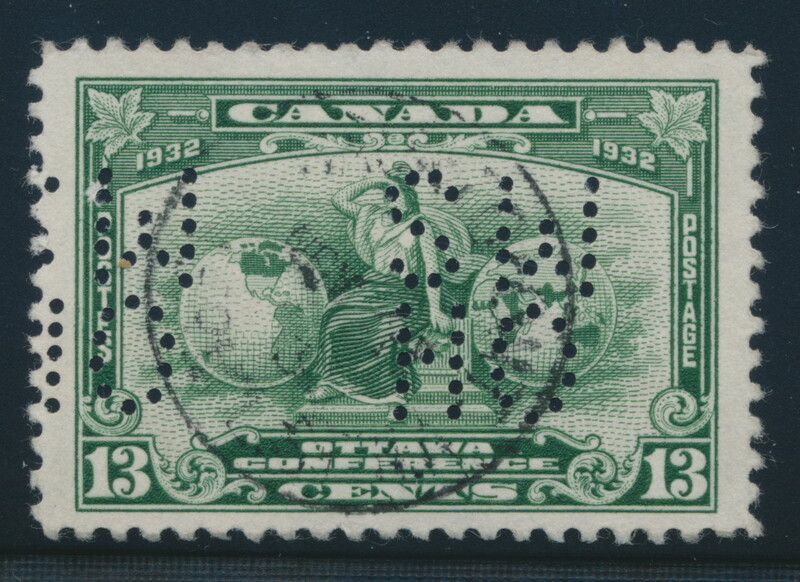 cancel, large margins and very fine. 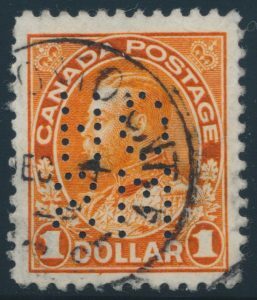 Unitrade CV$500, sold for $400 plus 15% buyer’s premium.